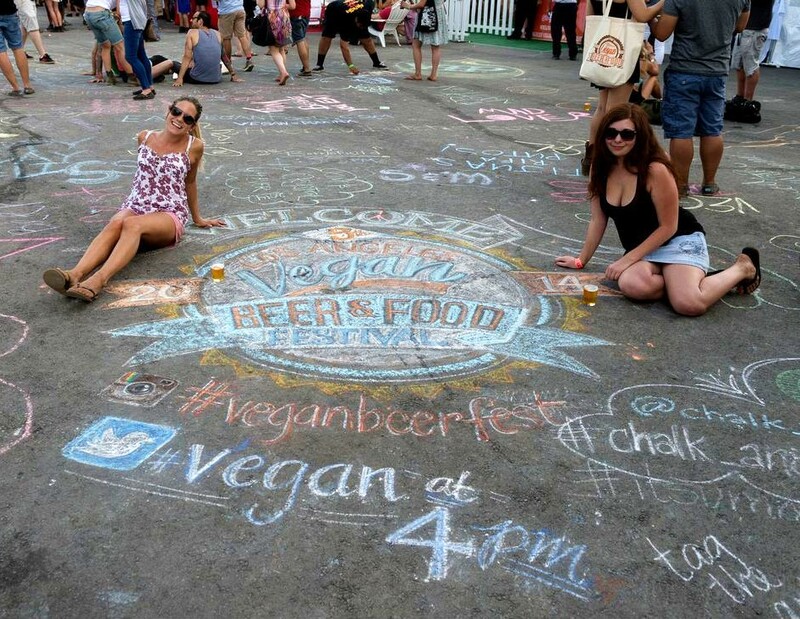 The fifth annual Los Angeles Vegan Beer Festival took place this past weekend featuring beers from over 40 breweries, animal free fare from over two dozen restaurants and food trucks, plus a full lineup of live music. The sold-out event produced by Roxy owner Nic Adler, Quarry Girl and Tony’s Darts Away was a day-long social scene bringing together not only vegans and beer enthusiasts, but hipster foodies and music fans from across SoCal. For those that don’t have a doctorate in beer-ology, turns out not all beer is vegan. Some producers use animal byproducts such as fish bladders in their filtration process or mellow/modify their flavors with lactose or honey. However, none of these old school brewing methods were apparently missed, as evidenced by the tapped out kegs left behind by days end.